Given that now RSS has also changed its position, the LGBTQ+ community needs to no longer be perceived as Left liberal. The task of decriminalising homosexuality in India is now squarely at the Supreme Court’s door. And if the issue gets resolved during Prime Minister Narendra Modi’s tenure, the way we look at the LGBTQ+ community in India can radically change. I conducted an impromptu poll on an LGBTQ+ Facebook group called ‘Harmless Hugs’ this week. 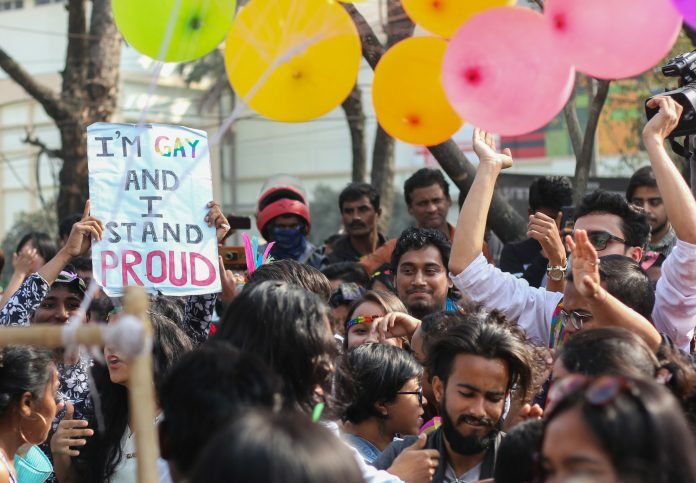 The results show that the decision on Section 377 will influence gay voters in 2019. By and large, the LGBTQ+ community in India has always been seen as a bunch of people who are liberal, intellectual and vehemently anti-Modi. But the community has not been politically homogenous. Soon after Modi won the 2014 mandate, there were several Facebook posts saying “Gays For Modi” and “Gays Love Modi”. But the Right wing homosexual people have always been ostracised in the LGBTQ+ community. A die-hard gay Modi fan told me that people from the Hindu Right wing are routinely made to shut up by the ‘Left liberals’ as they would crack jokes about Modi. But now, if Section 377 is decriminalised during his regime, the gay Modi fans will finally see the ‘acche din’. Another gay friend from Amritsar said Subramanian Swamy’s comment calling homosexuality a threat can drag the BJP down. But will religious people who back Modi be offended if Section 377 is outlawed? The RSS has already given a nod for decriminalisation, even Christian and Muslim sects are reportedly uniting to save Section 377. This has only gone to strengthen the belief of Hindutva gay forces that the RSS and Modi want to change India. Also read: RSS has changed its position on homosexuality. Can Islamic clerics do the same? Taking cue, now the WhatsApp forwards and Modi fan pages might even declare that homosexuality decriminalisation is actually Modi’s masterstroke. That ‘nothing was done during seventy years’ phrase may now be embellished with new ammunition. If the right wing people can believe that demonetisation was successful because Modi did it, then it will not be really hard for them to admit that being a homosexual is okay too. The centrist and liberal Congress Party could do nothing about it, even though it tried its best in a veiled manner. And the ‘liberals’ who are saying that the credit for the decriminalisation of homosexuality should go to the autonomy of the Supreme Court, are the same ones who had questioned its autonomy when the four top SC judges had spoken out for the first time in a historic press conference. If we go by that logic, then Modi government’s silence indirectly contributes to decriminalising Section 377. If all of this comes true during Modi’s tenure, then sexual orientation and political ideologies will change dramatically. It will no longer been seen as a Left liberal behemoth. It may untag many groups from the liberal rainbow. The political diversity in the community can finally come out of the closet. And not to forget that even UPA did not go to court to keep up section 377 in their regime. Where was this liberal stand when section 377 decriminalization bill was open for discussion in Parliament? First let the verdict be delivered by court. And also to note that, the Govt left the decision to Court. ASG didn’t say Govt support Decriminalization of section 377 either! And further the ASG’s words were not supportive of civil rights like marriage and live in relations. Unless PM openly comes in support of LGBT I will not consider him to be pro-LGBT.